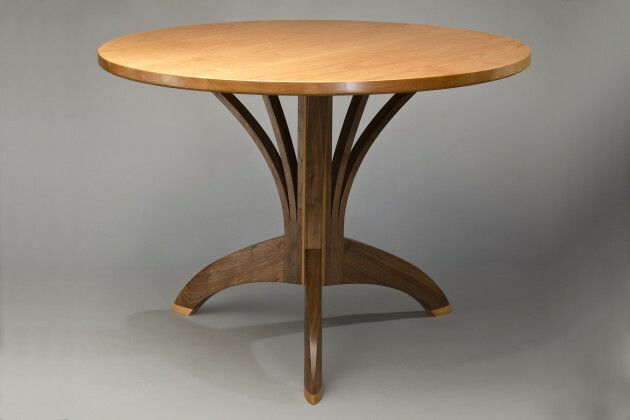 The Gazelle Cafe Table is made from 4 pairs of sculpted walnut legs joined by a central cherry disc and supporting a round glass top. 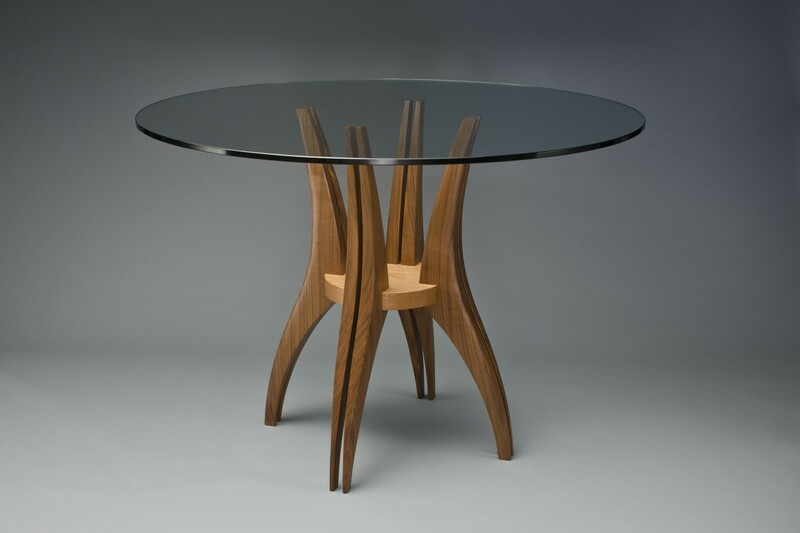 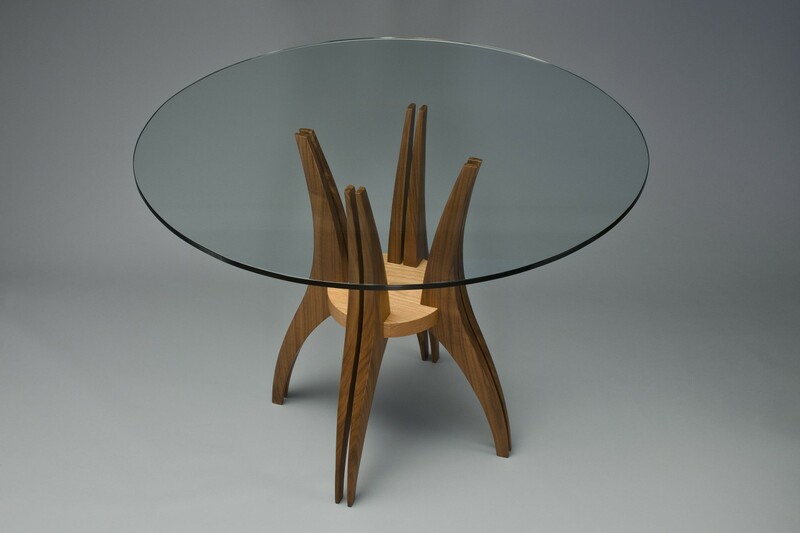 This round cafe table seats four with the hardwood legs comfortably out of the way. 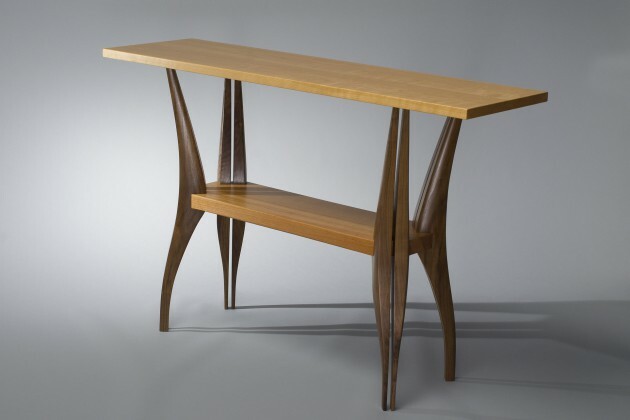 This leg design is also used in the Gazelle hall table.